As Sheffield Wednesday prepare for an eventful end to the season, it seems as if manager Steve Bruce is already looking to rebuild his squad in the summer if the latest transfer news is to go by. Reports from reliable journalist Alan Nixon claim that the Owls are interested in signing Lee Cattermole on loan from Sunderland next season, with Steve Bruce reportedly keen to reunite with a player that he knows well. 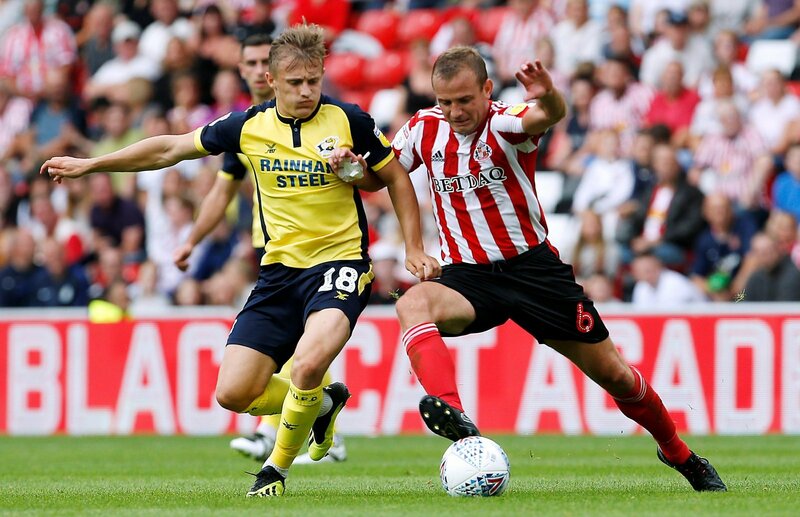 Barry Bannan and Joey Pelupessy have both impressed in the heart of the Owls midfield this season, but the experience and leadership that Cattermole would bring would surely be beneficial in their hunt for promotion to the Premier League next season. The 30-year old has been a fantastic servant for Sunderland over the last ten years, and is still a very important player in Jack Ross’ side this term – the combative midfielder has scored five goals in 26 games and has been an integral player in the Black Cats’ push for promotion from League One. Of course, a player of his calibre would surely have wanted to play more than just 26 games this season, but with plenty of talented midfielders on the club’s books, a move to Wednesday could be a good move for Cattermole. Not only are the Owls currently in a higher division than the Black Cats, but in Steve Bruce, Cattermole has a boss who gets the best out of him, having worked closely together at both Sunderland and Wigan Athletic. At the age of 30, Cattermole still has plenty to offer in the game, and a loan spell to a sleeping giant would certainly be tempting for the experienced midfielder.